When I first tried on this outfit combination, I wasn't 100% positive that the mint green matched well with the denim. Well, it's safe to say that I love the two together now and I have worn this outfit multiple times over the Summer! The mint green top is super comfy to wear and was very inexpensive. 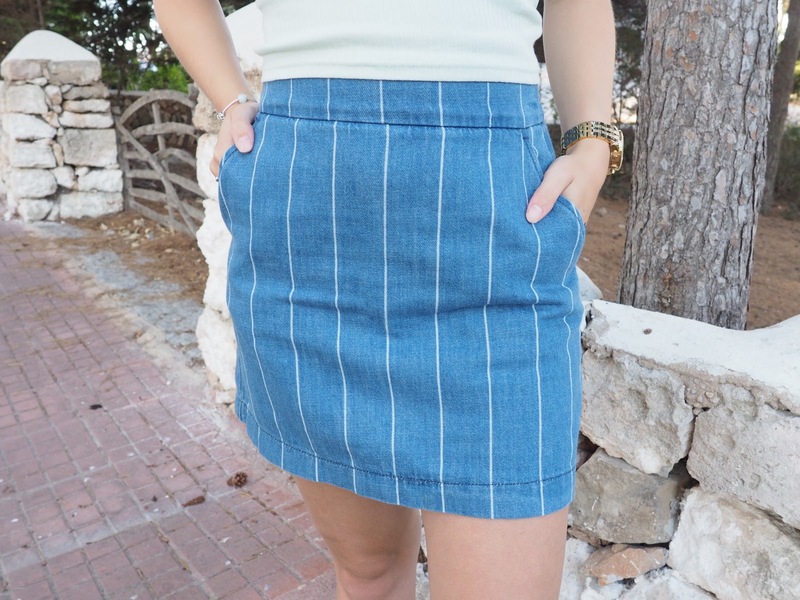 The denim skirt was a birthday present from my sister and I love it so much - I love the stripes on the denim and also the fact that the skirt isn't proper denim so isn't at all restrictive. I think this is a great, effortless Summer outfit! This outfit is super cute and I love your denim skirt! It's a little different to others I've seen but I love it!